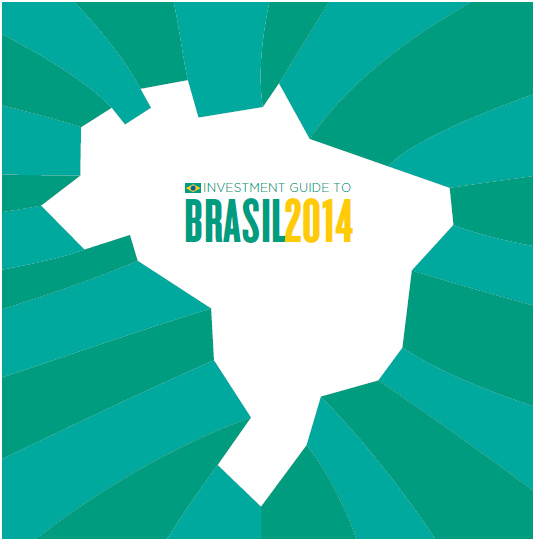 Apex, the Brazilian agency for promotion of exports, has published a new Investment Guide to Brazil. The material is beautiful. The agency in charge of the design did good work. Compared to the earlier versions, I think that the legal part has improved. It is more detailed and fairly close to reality. 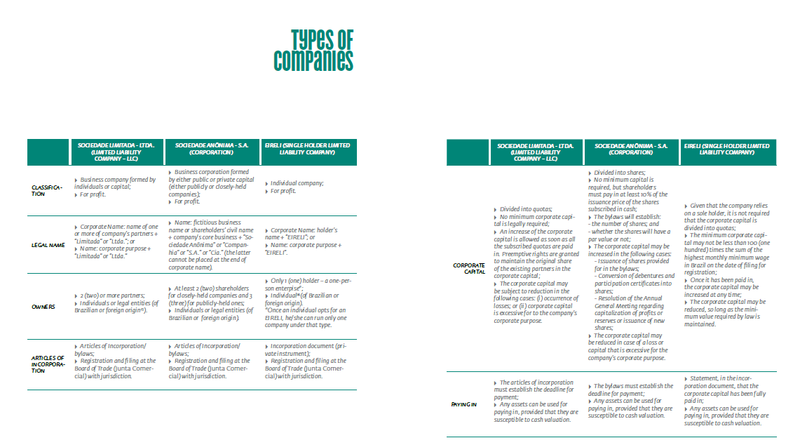 The main slides regarding company incorporation are reproduced below. The problem with this guide is excessive optimism and misleading information. For example, it lists as "Tax Incentives"some programs that are, in reality, very limited in scope. 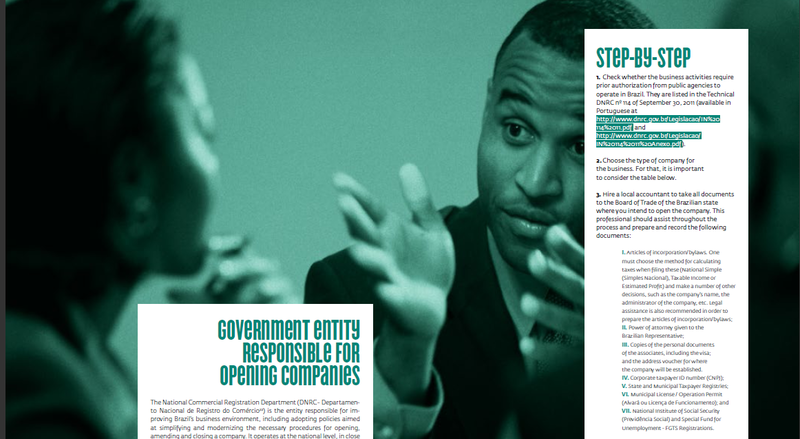 It is also a publicity piece, with government agencies fighting to shine in their respective areas. Brazilian Development Bank (BNDES) almost convinced me that obtaining loans is easy. I have been talking to a lot of engineering companies lately. How much in taxes will the Brazilian clients pay when they import my engineering services? Why so much? Is Brazil crazy? Don't you know you need engineers desperately? Usual solutions to this problem are the incorporation of a Brazilian subsidiary, the creation of a JV between the engineering company and the buyer in Brazil or some kind of technology transference agreement that will allow part of the service to be performed in Brazil. The use of non double taxation agreements complements all the above. Each of those partial solutions also brings new questions. 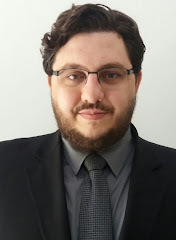 For instance, Brazilian law is not clear on the issue of services invoiced from a subsidiary in Brazil directly to the Brazilian customer, but partially performed by the controlling company of that subsidiary (for example, a team of game developers in Moldova that has a sales team in Brazil). Should transfer pricing rules apply in this case? Also, JV agreements do not fully solve the problem. How much investment should be registered for the foreign party that brings 100k in cash, but allow access to cutting edge software? On top of that, it must be stressed that the Brazilian revenue service has an internal directive that comands its agents to disregard NDT agreements. If you want to see the law being applied, you must file a lawsuit (some french oil drillers that provided services to Petrobras have Recently won a case). 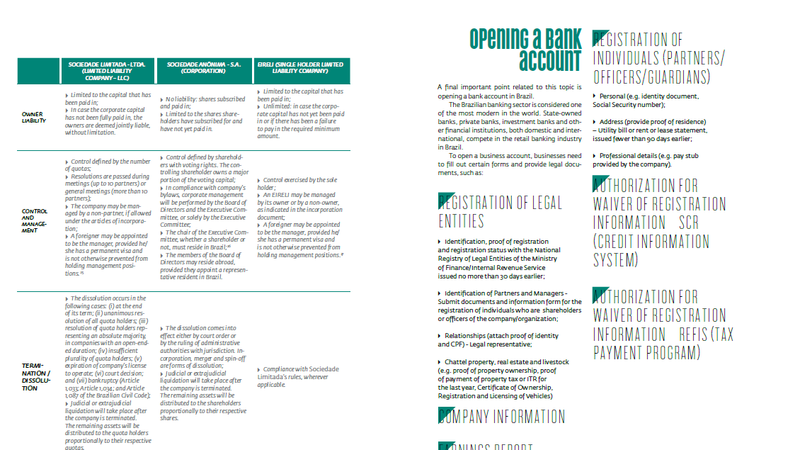 The use of offshore companies to channel payments has been common. But recent changes on regulation of offshore subsidiaries brought uncertainty to this method. At the end of the day, each of my clients chooses a different mix of solutions, trying to balance tax economy and safety. What do you do when you face this problem?